Bordered by the Estrella river in Paso Robles, Tolliver Ranch features well-drained, sandy-gravely soils that are acidic due to the presence of decomposed granite , unlike most soil profiles in the Paso Robles region. Conditions at the site are ideal for big red varietals such as Petite Sirah, Syrah and Cabernet which thrive in the vineyard’s soils, and utilize the long growing season. A beautiful full-bodied Cabernet Blend! Red currants, cassis and red fruit dominate the nose while nuances of Christmas spice, pine and dried fall leaves add to the intriguing aromatics. 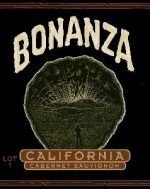 The layered palate offers great weight and density with ripe flavors of black berries and plums. The surprisingly bright acidity and mouthwatering texture weaves into a firm finish with lingering tannins. The Tooth & Nail labels are John James Audubon originals; beasts of the early 1830s fighting “Tooth & Nail” to survive. Here Audubon depicts two Red Tailed Hawks fighting to become the sole POSSESSOR. 91 Points Wine Enthusiast. Categories: Country - United States, Region - California, Red - Cabernet Sauvignon, Unique Reds. Sean Minor was born in Kansas but he began his career in the wine industry after a formal education in finance from Arizona State University where he also met his wife, Nicole. They moved to California after graduation, where he began working for Napa Valley’s Beaulieu Vineyard. At the same time he took classes at U.C. Davis in Viticultural and Enology in hopes of developing a further understanding of grape growing and wine production. Then Sean moved to the Pacific Northwest after being recruited by King Estate Winery (widely renown for producing Oregon’s largest and most highly regarded Pinot Noir and Pinot Gris) to manage the Estate. He met Will Bucklin, King Estate’s then winemaker, and developed an even stronger knowledge of winemaking and gained a lifelong friend. Sean learned firsthand the importance of site-specific viticulture, and ended up leaving King Estate to lead Benton Lane Winery then the family returned to California in 2001 where Sean had the opportunity to manage Renwood Winery and enhance his wine experience growing and marketing some of the Golden State’s best Zinfandel and Syrah. Four years later, he founded Sean Minor Wines. 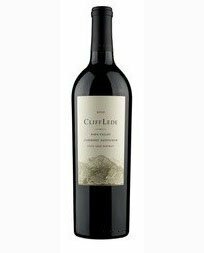 This lovely Paso Robles Cabernet Sauvignon is ruby in color and displays aromas of lavender, cedar and raspberry fruit. Flavors of blackberries and raspberries combined with hints of savory spices coat the palate. The soft tannins and sweet oak balance lead to a long and lingering finish. 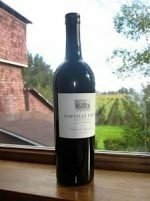 99 points, RP “…Flirting with perfection, this wine boasts blueberry and blackberry notes, spring flowers a hint of charcoal and subtle toast, a full-bodied mouthfeel and stunning concentration.”Intense blackberry liqueur and espresso bean develop into rose and truffle oil aromas as the wine opens. Creamy and opulent, flavors of semi-sweet chocolate, mocha, and plum layer the front and mid-palate. A beam of fresh minerality (archetypal Stags Leap District character) frames the long silky finish. Decanting is recommended. Revisit over 24 hours as new layers develop with time.